Search.searchbrs.com is the PUP that uses misleading techniques to prevent removal. Use Reimage to locate malicious components and get rid of them faster than with uninstall instructions. A full system scan blocks virus reappearance and prevents traffic to malicious domains. Search.searchbrs.com is a suspicious search engine created by Polarity Technologies Ltd that is not recommended to use. This tool might enter the system silently, alter browser’s settings and shortcuts, replace current homepage and search engine, track information about users and share aggregated details with third-parties. Due to these features, this app is categorized as a potentially unwanted program (PUP) and a browser hijacker. 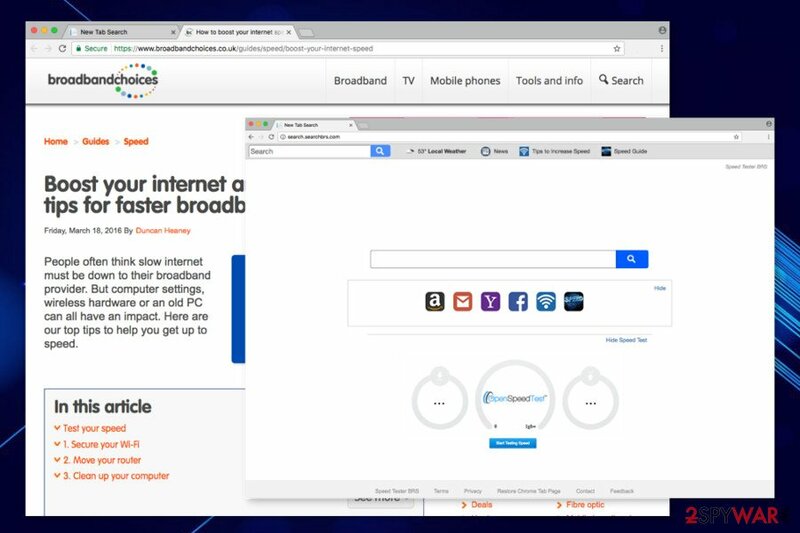 The main page of Search.searchbrs.com includes quick links to Amazon, Yahoo, Gmail, Facebook and other websites that provide tips to increase Internet speed. Above the search bar, you can also find a speed test application. 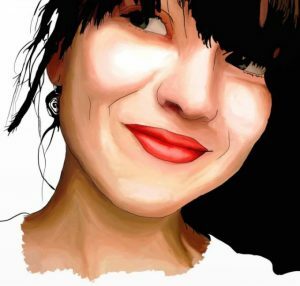 Nevertheless, this feature might look useful and entertaining; the main focus is on the primary function of the search tool. It’s ability to provide accurate and relevant results. Despite the fact, it uses Yahoo Database; this may not stop developers include sponsored links into the results page. Indeed, this browser hijacker is used as an advertising tool. Thus, instead of expecting it to work properly, you should remove Search.searchbrs.com immediately. What is more, you should also scan the computer with a reputable anti-malware/anti-spyware program, such as Reimage, and make sure that other PUPs are not residing on the system as well. Search.searchbrs.com is themed search tool that promotes websites and apps related to increasing Internet's speed. Search.searchbrs.com hijack might occur when users install freeware incorrectly. The potentially unwanted program spreads attached in the software package as an optional component. When users install new program downloaded from P2P networks and various file-sharing sites, they are often installing software bundle, but not a single program. The hijack might happen when this package is installed using “Quick” or “Recommended” settings. These setups rarely reveal about third-party apps, and usually installs them silently. To prevent PUPs from entering the system, you have to opt for “Advanced” or “Custom” installation settings. Carefully watch each of the steps and look up at pre-selected programs or statements agreeing to make Search.searchbrs.com your default search engine. By unticking these entries, you stop undesired apps from installation. If you want to fight the hijacker manually, you should opt for the manual elimination option. To remove Search.searchbrs.com from the system entirely, you have to uninstall unknown programs and browser extensions. 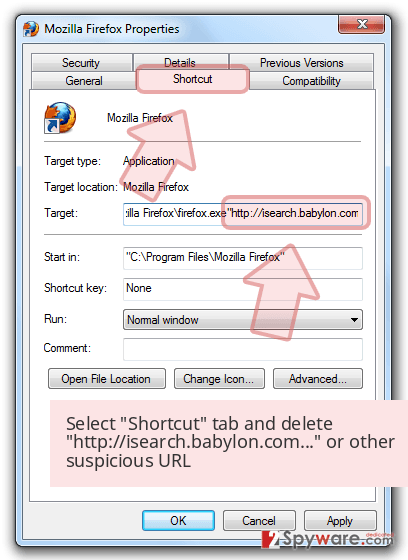 The instructions below will help you to find and eliminate all hijacker-related entires. However, you should not forget to reset web browsers as well! 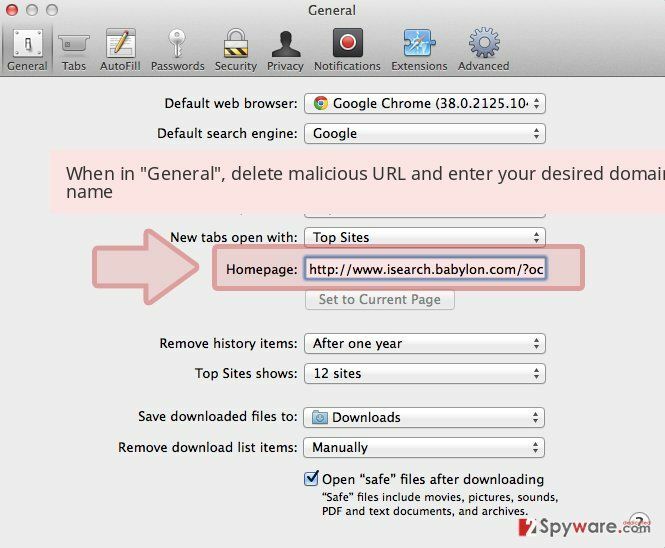 However, if these guidelines look complicated or you do not want to spend an hour or two with Search.searchbrs.com removal, you should take advantage of the anti-malware program. Indeed, you can remove the hijacker automatically within several minutes by scanning the computer with a security program. 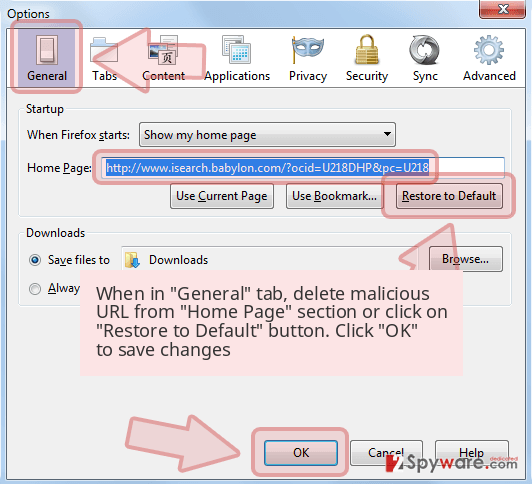 Follow the steps below to remove hijacker from the system manually. Once you uninstall all suspicious programs, take care of your web browsers! Here, look for Search.searchbrs.com or any other recently installed suspicious programs. If your browser has been hijacked, you should look up for potentially unwanted programs installed on the device. Wait until you see Applications folder and look for Search.searchbrs.com or any other suspicious programs on it. Now right click on every of such entries and select Move to Trash. The guidelines below will help you to remove Search.searchbrs.com virus entirely. When in the new window, check Delete personal settings and select Reset again to complete Search.searchbrs.com removal. Follow the steps below to fix Microsoft Edge after the attack. Once these steps are finished, Search.searchbrs.com should be removed from your Microsoft Edge browser. 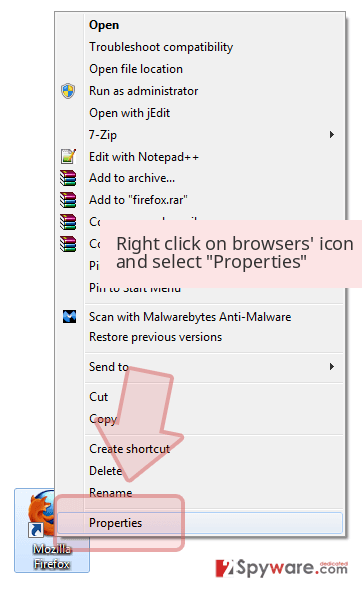 In order to get rid of Search.searchbrs.com, you have to uninstall suspicious browser extensions and reset Mozilla Firefox. Here, select Search.searchbrs.com and other questionable plugins. Click Remove to delete these entries. Now you will see Reset Firefox to its default state message with Reset Firefox button. Click this button for several times and complete Search.searchbrs.com removal. Now you have to check the list of Chrome’s extensions and uninstall unknown entries. Once it’s done, you have to reset the browser in order to get rid of tracking cookies. Here, select Search.searchbrs.com and other malicious plugins and select trash icon to delete these entries. Click Reset to confirm this action and complete Search.searchbrs.com removal. 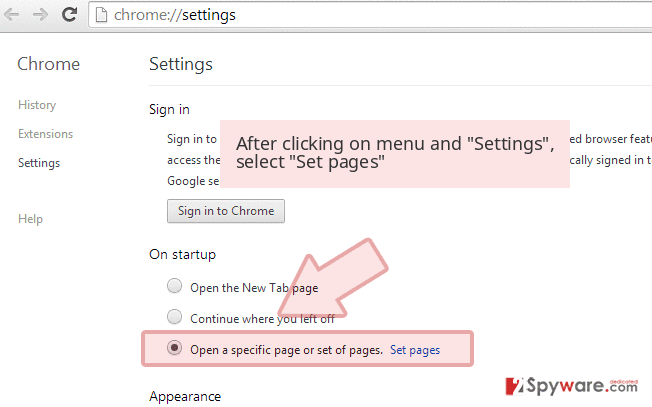 The instructions below will help you to recover Safari from the hijack and get back access to your browser. Here, select Extensions and look for Search.searchbrs.com or other suspicious entries. Click on the Uninstall button to get rid each of them. Here, look at the Homepage field. If it was altered by Search.searchbrs.com, remove unwanted link and enter the one that you want to use for your searches. Remember to include the "http://" before typing in the address of the page. Now you will see a detailed dialog window filled with reset options. All of those options are usually checked, but you can specify which of them you want to reset. Click the Reset button to complete Search.searchbrs.com removal process. ^ Personally Identifiable Information (PII). Investopedia. The website cover various topics on finance. ^ Hackers spread malware via Yahoo ads. SC Magazine. Breaking news on cybersecurity, cybercrime, industry insight and security product reviews. This entry was posted on 2017-05-28 at 12:00 and is filed under Stealing programs, Viruses. You can quickly scan the QR code with your mobile device and have Search.searchbrs.com virus manual removal instructions right in your pocket. How did you remove Search.searchbrs.com virus?